Some people can be very particular about their '3 minute egg'. How about 300 minutes? 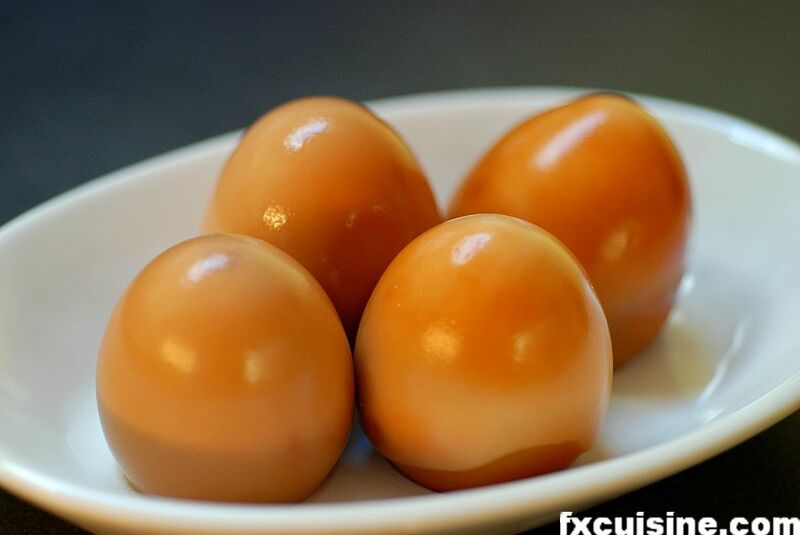 In Morocco, eggs are traditionally left for hours in embers or roasted in sand in bakers' ovens. I tried it last weekend using instructions from Mrs Wolfert's extraordinary The Mediterranean Kitchen. The results were very pleasing! I warmly recommend you try, it is both an intriguing experiment and a delicious starter. 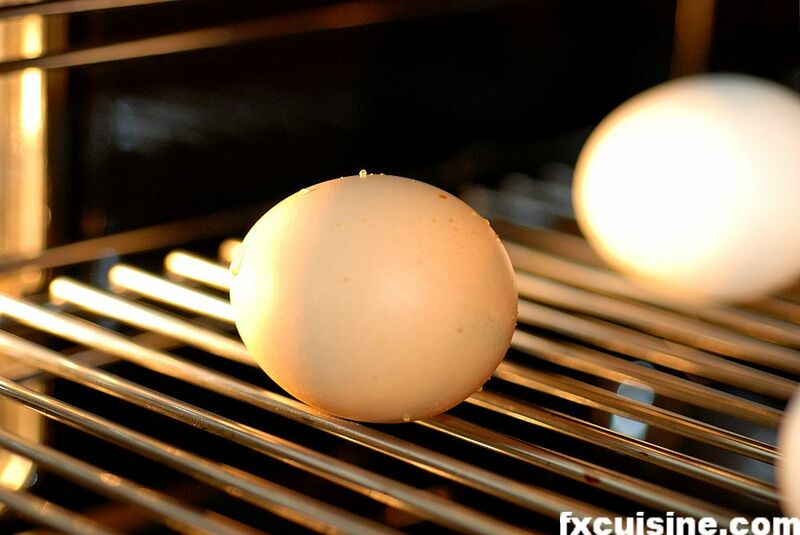 Soak fresh eggs in lukewarm water for a few minutes and heat your oven to 105°C/220°F. Lay the eggs directly on the grate and bake for 5 hours. That's exactly 300 minutes. I just replaced my 18-year-old oven with a digital model that lets you type in the exact temperature and time but I think you could do it with an old oven on the lowest setting, or use an oven proof dish filled with water to cap the temperature around 100°C/212°F. 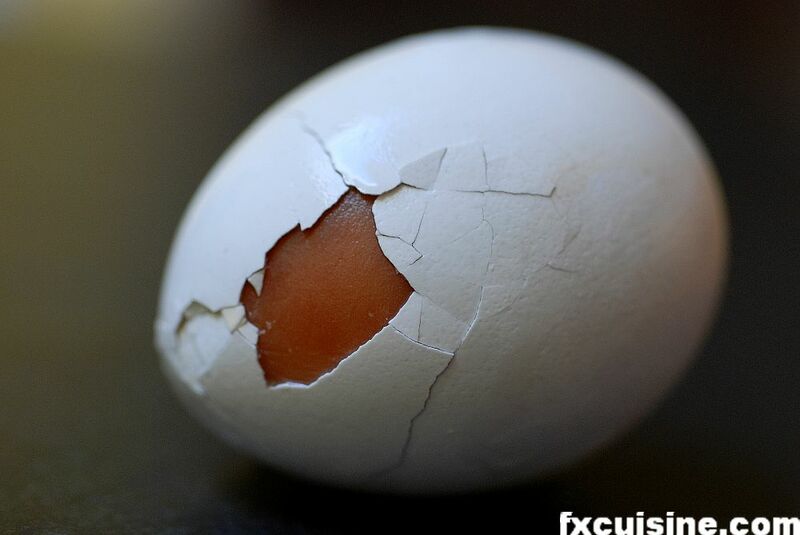 Some egg white will make its way through the shell and create brown pimples on your eggs (photo). 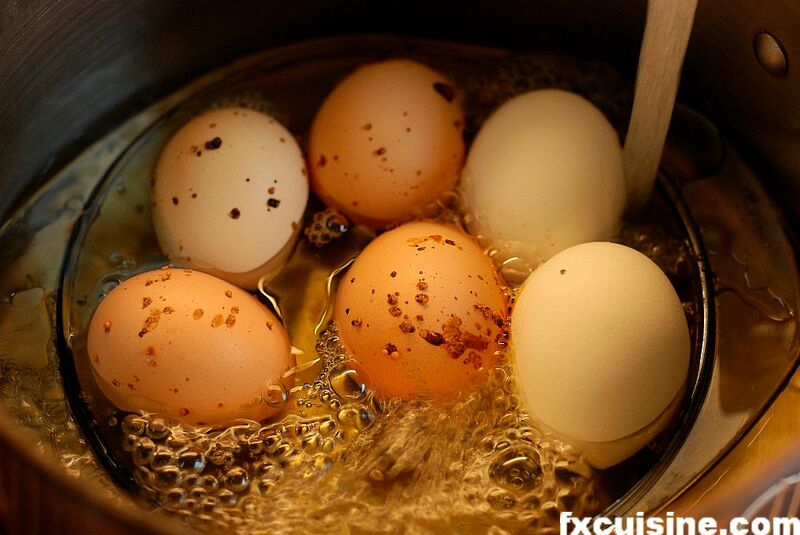 Remove the eggs from the oven and leave them for 5 minutes in a cold water bowl. Remove the shell. 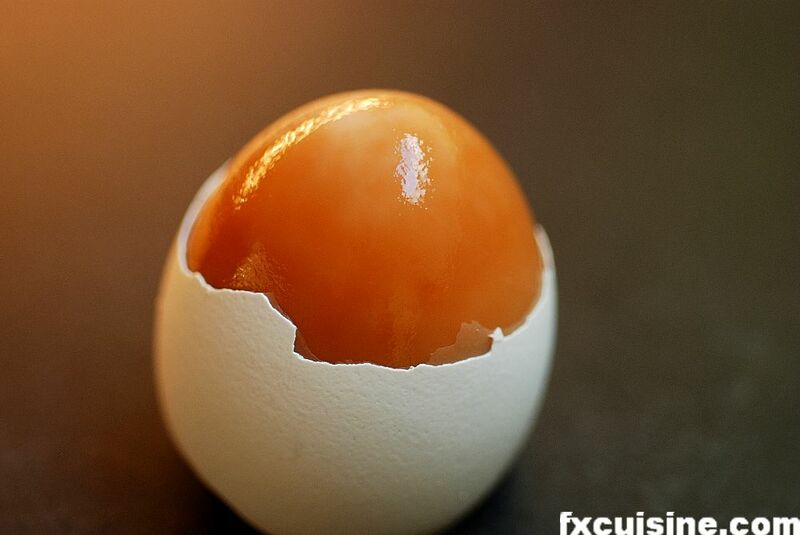 The egg white has turned brown. 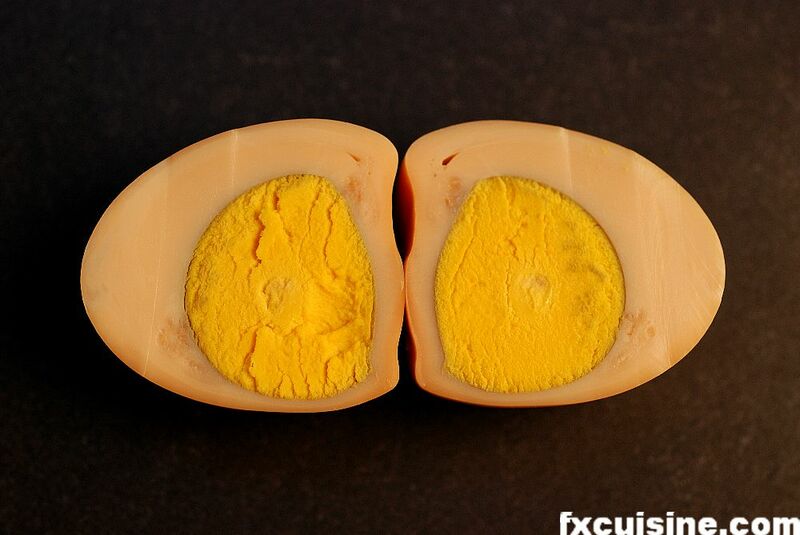 The egg whites shrink a little during the long baking, making your eggs are conveniently flat on the bottom. You can easily stand them upright on a dish.